Straight, curly, long, braided or basic – the royals did it all. With a flair for panache, historical archives show that the royals spent a generous amount of time in styling their hair as much as they did taking care of it. Thin hair pins and elaborate hair clips made of silver and gold were abundantly used. Accessories of encrusted jewels and diamonds were commonplace. ‘Keshsajja’, as hairstyling was known in those days was an important aspect of the royals’ beauty regime. Women wearing their hair long was the norm – usually at knee-length or longer. But not far behind these queens and princesses were the men – kings and princes had beautiful long hair as well, groomed to perfection. The hairstyles varied according to wealth and age of each royal; tribal royalty going so far as to delving into beads and feathers along with jewellery. Taking a leaf (or a dozen leaves) out of their book is Bollywood cinema, with its period films and modern-day dramas finding inspiration from history. Let’s take a look at the Indian films that have royalty to thank for their look. Right from the time of Shah Jahan, the Mughals have proved that no love story is time-bound. The epitome of romance, Mughal-e-azam, is a classic example of the undying love the Mughals believed in. 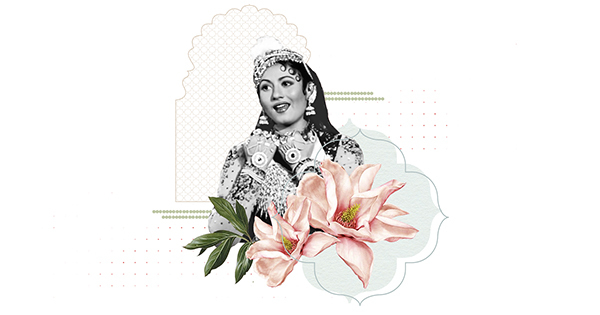 In this film Madhubala, playing Anarkali, donned a long braid, with curls embracing her forehead. With an ancestry of Kshatriyas, the Maratha warrior class is famous for their unwavering dedication. Set against this background, Bajirao Mastani featured leading lady Deepika Padukone as Mastani in regal anarkalis, angrakhas and farshi pyjamas from that day and age. Her hair accessory of choice – a gorgeous turban - was inspired by the wardrobe of Tipu Sultan and the Mysore Sultanate (found in the Salarjung Museum in Hyderabad). Aishwarya Rai-Bachchan, playing Jodhaa Bai in Jodhaa Akbar, depicted a Rajput princess caught in grand traditional royal affair. The Rajputs were known for their resplendent folklore as much as for their rituals and conventions. Jodhaa chose the hair tradition from a time when Maharajas ruled the Indian subcontinent; a neat bun or braid gently covered with a veil across her head. Royalty lives on – in the lives of the larger-than-life actresses recreating the old and unforgettable. So whether it is by the bun or by the braid, some traditions remain are everlasting.